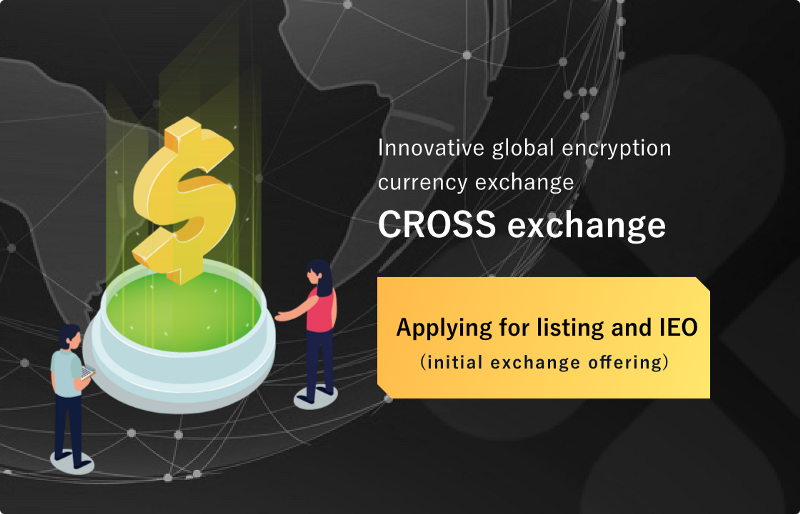 At CROSS Exchange you can apply for listing a new currency. CROSS exchange promotes various promising projects listing (listing). We are looking forward to listing application on CROSS exchange from projects with innovative technology, many communities, business markets. In CROSS exchange, we have set up our own listing examination criteria and we are conducting high-quality scrutiny of projects. What kind of project is desirable for listing? · There is technology and development capability. · There is a community. · Information transmission is transparent and done fairly. · There is a profit structure as a real business. · Posses a patent etc. · Don’t raise funds more than necessary. 1, Apply from the listing application form. 2. Acquisition of listing rights by popularity vote. 3, Recommendation from CROSS exchang partner. Many exchanges collect the listing fee, why is the listing fee of CROSS exchange free? Because we believe that many projects and investors will be pleased by listing on a wonderful project. Is there a cost other than listing fees? “The listing fee is free. What criteria do you decide on listed stocks? Establish listing examination standards covering 60 items, conduct strict examination, discriminate the contents of the project in 5 stages, and adopt only tokens of 4 points or more. Are there any conditions for listing? “Listing conditions are not announced. 2, Listing Review, Reply from CROSS exchange Secretariat, Questions etc. Please do the listing application from the form below.